Each year when writing a post to mark the “birth” of Western District Families, I describe the occasion differently whether it be blogiversary, anniversary or birthday. After finding the traditional gift for a sixth anniversary is candy, I settled on an anniversary this year. So, Happy 6th Anniversary Western District Families. The idea of candy took my mind straight to my cousin “Sweet” Daisy Diwell, an employee at MacRobertson’s Chocolates in Fitzroy and to a Trove Tuesday subject the “Sweet-toothed Fox” a nocturnal visitor to the MacRobertson factory who feasted on the delights within. 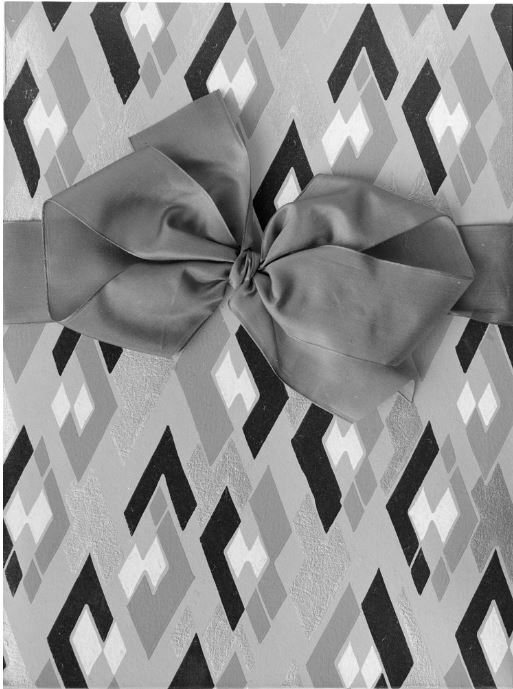 Next, I thought of chocolate boxes, particularly the beautiful MacRobertson’s Chocolate boxes. When I began reflecting on Western District Families’ year, I felt I hadn’t achieved a lot. Looking at the “Home” page and the low numbers of posts, it would seem not much has happened. Then I thought about why that was the case and only then realised how much I had achieved. As well as being very busy on the home front, Hamilton’s WW1 has been time-consuming with most stories taking several hours of research and writing. At the same time last year, I had seventy-five biographies and it’s taken a year to add another forty-three but it’s been worth every moment. As well as the lists of Hamilton enlistments and posts about Hamilton’s WW1 memorials, Hamilton’s WW1 now has 118 biographies of enlisted men. Each includes a family history, photos and links to relevant online records. Those 118 men make up most of the names of the Hamilton War Memorial and Hamilton’s Anzac Avenue combined, so by this Anzac Day, I hope to have available a full biography of each man. And not forgetting the nurses, I am also close to finishing the first biography of a WW1 Nurse who trained at Hamilton. 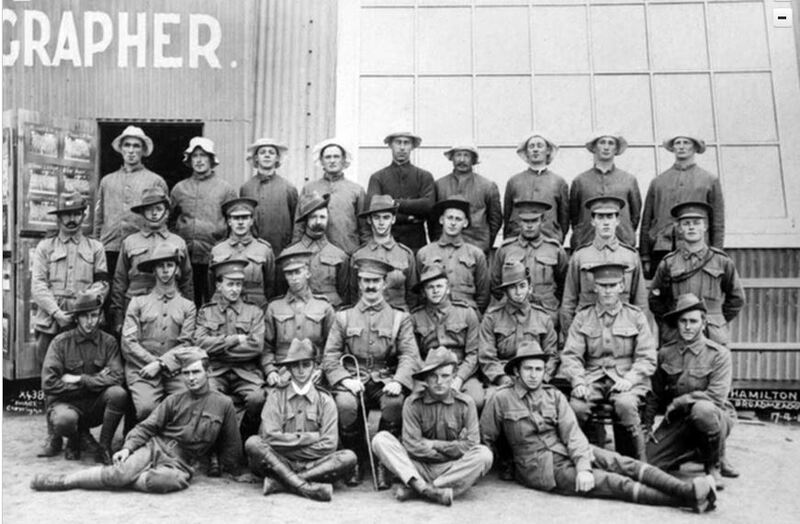 The Facebook pages, Western District Families and Hamilton’s WW1 continue to grow. I’ve been delighted to see the interest in the WDF page as it nears 3300 “likes” up from 2000 at this time last year. During the year, I’ve led the page followers on three virtual historic tours of Western District highways which have been great fun. The wonderful memories shared by those following brought another dimension to the posts. Last month the page’s theme was Women’s History Month and this month, we are remembering the enlisted men and women of the Western District. 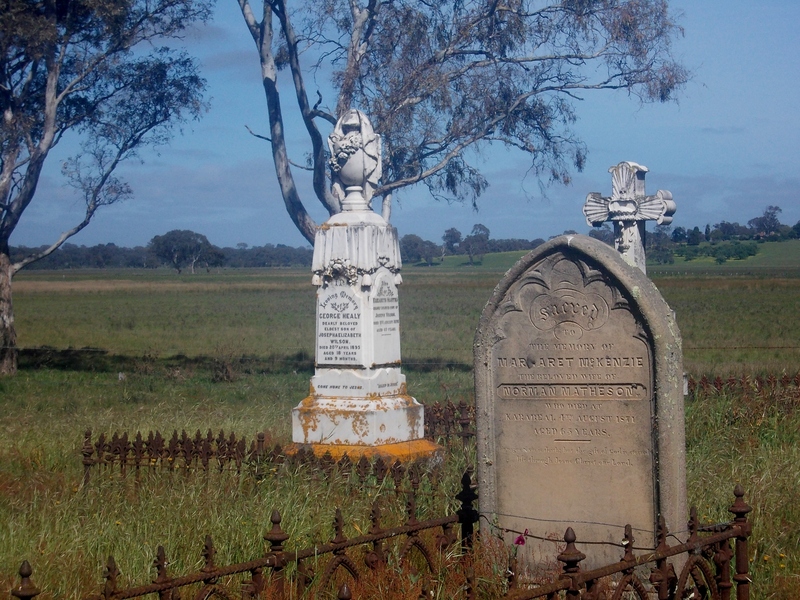 Then it will be time for another virtual historic tour, this time along the Henty Highway. A personal achievement was successfully completing a Diploma of Family Historical Studies with the Society of Australian Genealogists, a goal for some time. The task was to complete a 20,000-word family history using a range of sources. Of course, I chose the Harman family because I knew the most about them. It was a valuable exercise for my family history research. When I started Western District Families, I soon learnt writing a narrative about family members leads to new discoveries but writing a family history such as I did took it to another level. Now I have a broader knowledge of the family and more understanding of their motivations and emotions but there is still more to learn. It’s something I’d like to try with some of my other families…if I ever get the time. So that’s the year all wrapped up in a bow. When you lift the lid on your next box of chocolates I hope you are pleasantly surprised at what you find inside. That is a fabulous post, and a remarkable year of achievements. I don’t often comment on this site, but rest assured I relish the content you post, and especially loved the focus on women recently. Keep up the fabulous work. I’m sure there are many people out there just like me, whose lives you touch, but you don’t even know about it. If life is like a box of chocolates, you have the luxury version… remember the MacRobertsons’ top of the range that were made of gold filigree plastic, looking a lot like a jewellery box and lined with either red or purple satin? We always sold a few of those in our cafe, but they were so expensive, I never got one of my own.. Merron, you have given us that luxury box, but have let us not only look inside, but enjoy the contents…Thank you for your dedication and plain hard work… it is much appreciated. Thank you so much Chris and thank you for including me in your Friday Fossicking posts too. Just wanted to let you know that I aways read your posts about the pioneeer families of the region. 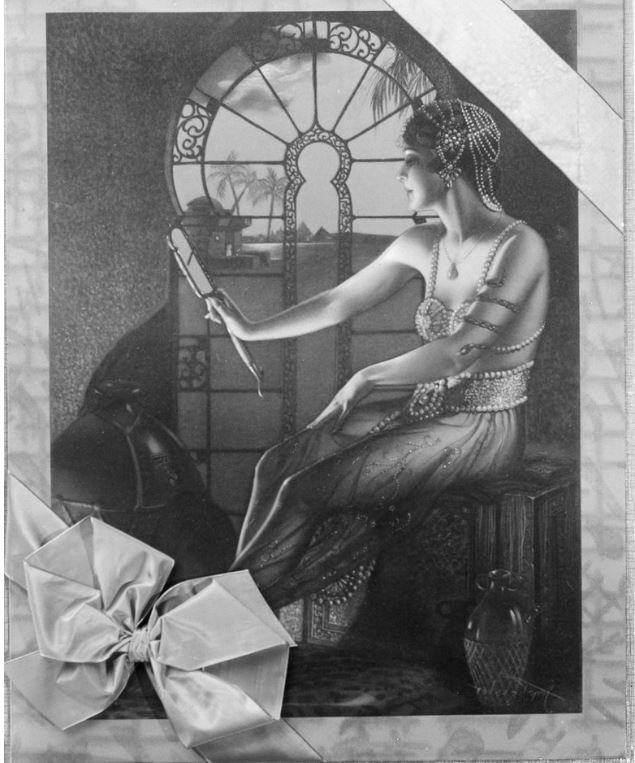 Today I read about the chocolate boxes – how lovely that would have been to receive those as a gift! Especially two covers of the boxes caught my attention – the ones with the belly dancers. Just beautiful. Thankyou so much for giving us a glimpse of the past. Thank you Adrie I’m glad you enjoy my blog and from so far away. They are beautiful boxes and it took some time to decide which one to use. Congratulations on WDF’s 6th birthday, Merron. A ‘box of chocolates’ is a wonderful analogy. The history tours along my local highways and women’s history stories were a highlight for me this year. I am always amazed at your prolific output, Merron, and I always enjoy what I read so thank you. Thank you Chris for your continuing support and I’m glad you’ve enjoyed the FB page too. Congratulations on your blogiversary Merton. 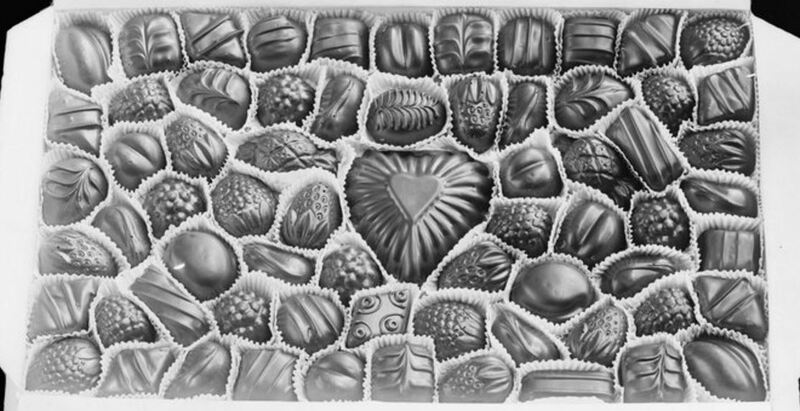 Your dedication and persistence have created a resource that, unlike chocolates, will keep on giving for years to come. Oops, text prediction strikes again. Thank you Jill for being there pretty much all of those six years and for your support and everything I’ve learnt from you too. Merron – what an amazingly productive twelve months you have had. That’s an extraordinary amount of work. You should be very proud indeed.